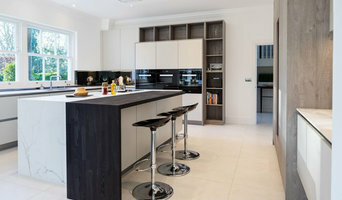 Matt Porteous specialises in producing high quality fitted furniture across Surrey and London in both contemporary and traditional designs, using a wide range of natural and manmade materials. With traditional wood working techniques, this entirely bespoke furniture service offers a highly extensive choice in order for you to create your dream home. We only use dedicated and experienced craftspeople with years of experience, and unlike most companies who supply fitted furniture; everything is made from scratch in our Surrey based workshops. Furthermore, we do not use any modular units that are plainly adapted to fit. Instead, all the materials for your project are ordered individually and especially for you. Every project is unique and tailored to meet your individual requirements, taste and style. 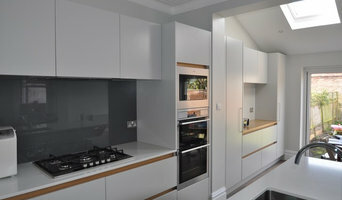 Such things we reguarly build are fitted wardrobes, bespoke tv cabinets, bespoke kitchens and fitted home offices. To discuss your project, contact us today. 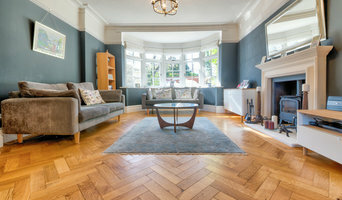 We are Matt and Helen, and together with our friendly team we are an approachable, innovative and passionate company dedicated to providing beautiful flooring. The journey with us is seamless, fun and always entirely custom made. 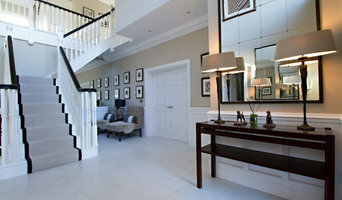 We offer a personalised service, and dependent on your home, space and lifestyle, our floors can be made to measure. We love working on whole home renovations, piecing together different flooring for different room styles and atmospheres, from luxury vinyl, a variety of wood styles and herringbone flooring through to carpets and rugs. Customer service and quality of workmanship are our priority and we are proud of the fact that the majority of our work comes from personal recommendation and word of mouth. We count many interior designers, letting agents and property developers amongst our customers, and recognize the importance of establishing relationships built on trust and reliability. Reach out to multiple professionals — especially for larger projects — and don't settle for the first quote you receive. Comparing multiple Cobham, Surrey professionals' quotes and experiences can help you find the one that’s best for you. Ask a lot of questions now, so you won't have unexpected answers later. Find a home design professional on Houzz. Narrow down your search by type of professional and location. 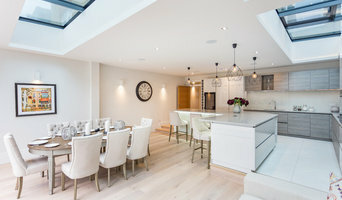 Browse Cobham, Surrey portfolio photos, read client reviews and contact each home improvement professional for more information. Check out the information in the specialised professional sections too for tips on how to hire the right professional for your project.